The term Apartheid originated in South Africa. This African word means ‘apartness’ or ‘the state of being apart’. It was the social and political policy of racial discrimination in South Africa imposed by the white minority government. It continued from 1948 to 1994. This policy completely governed relations between white minority and non-white majority. It did not leave any aspect of social life untouched. During this time, existing pass laws were also strengthened. This law required non-whites to carry documents to authorize their presence in some areas that were restricted otherwise. The non-white people were considered as the subordinate people in their own country and also did not have access to good education. It had a very bad impact to the lives of local people. In 1953, the education segregation law was passed, stating that the non-whites do not have access to quality education. It also included the prohibition of marriage between whites and non-whites. Non-whites were not even allowed to live near white people, share toilets restaurants or bars. The central aspects of the apartheid were racial segregation and white supremacy. 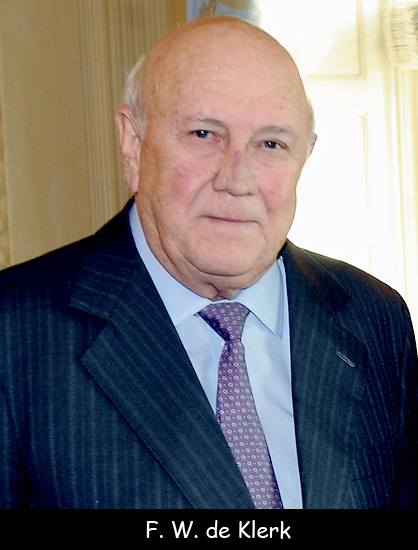 The negotiation towards ending apartheid began in 1990 by President De Klerk. It officially ended in 1994. The South African icon Nelson Mandela made huge efforts. He also spent 27 years in prison fighting for equality. Declan, Tobin. " Apartheid Educational Facts for Kids ." Easy Science for Kids, Apr 2019. Web. 23 Apr 2019. < https://easyscienceforkids.com/apartheid-facts/ >.